Playful work by graduating senior Can Yang 18 GD seamlessly blends Eastern and Western motifs. 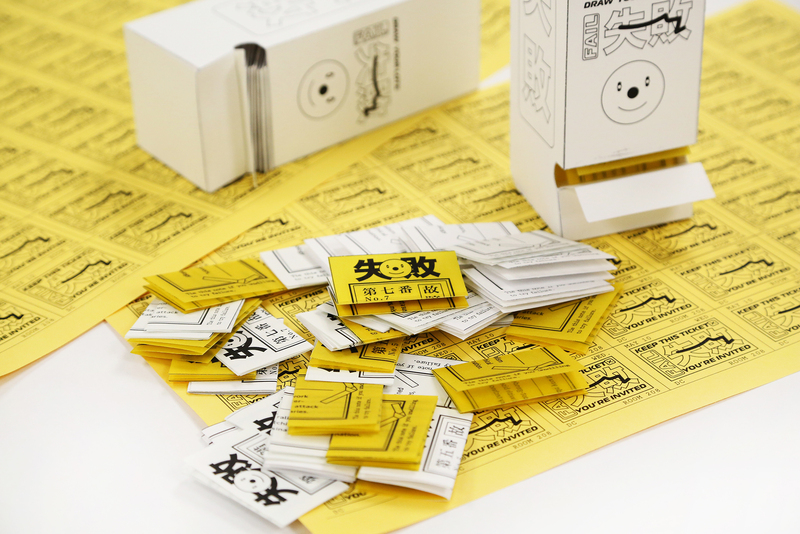 When Graphic Design senior Can Yang 18 GD first began following the American Institute of Graphic Arts (AIGA) on Instagram last year, she wondered if the organization might someday post an image of her work. Instead, a few months ago Senior Editor Emily Gosling reached out to her for an interview that led to a wonderful profile about Yang on AIGA’s well-read Eye on Design site. The interactive Failurism Manifesto encourages viewers to draw a fortune reassuring them that failure is OK.
Yang first came to RISD from China in 2013 to attend the summer Pre-College program, where she focused on sculpture. Floored by the experience, she applied for undergraduate admission the following year. When she arrived as a Foundation student, she initially expected to major in one of the fine arts, so surprised even herself by opting for Graphic Design instead. 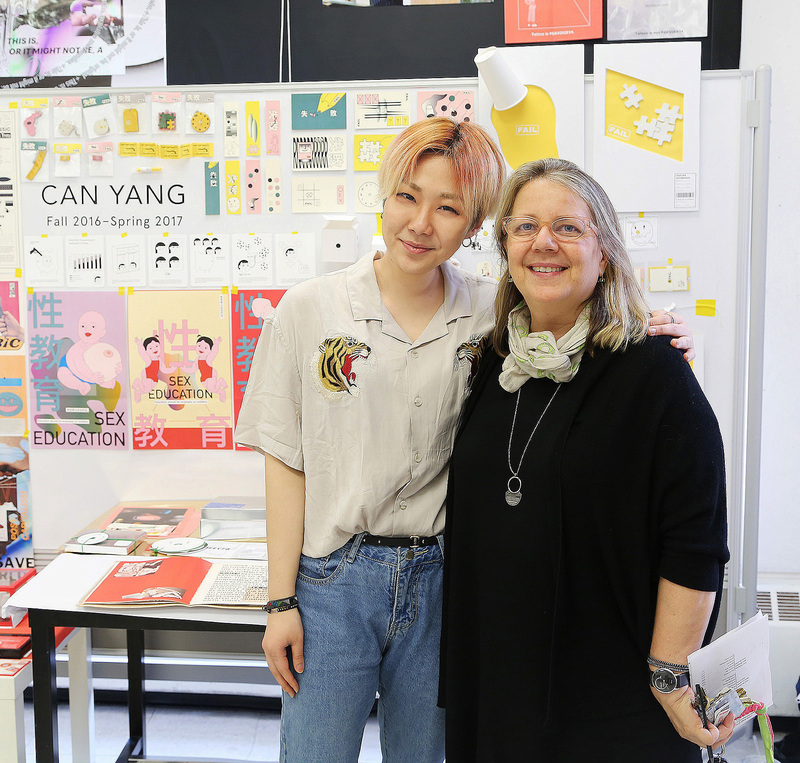 Yang with Professor Lucy Hitchcock, who heads the Graphic Design department. Yang says that all of her work incorporates a mix of Eastern and Western motifs. Her Failurism Manifesto, for example, mixes China’s national yellow with millennial pink and reflects on the I Ching as a tool for divination. It also celebrates the notion of learning through failure—a core tenet of the pedagogical approach at RISD. Failure reminds us that our control over technology is an illusion, says Yang. The 2018 iteration of RISD’s Student Artist’s Book Competition teems with brilliant work. Based on the promise of her work, Graphic Design senior Tasnima Tanzim 18 GD earns the Type Directors Club’s 2017 Beatrice Warde Scholarship. Three RISD students “ready to burst on the scene” are included in Graphic Design USA’s 2017 “Students to Watch” list.